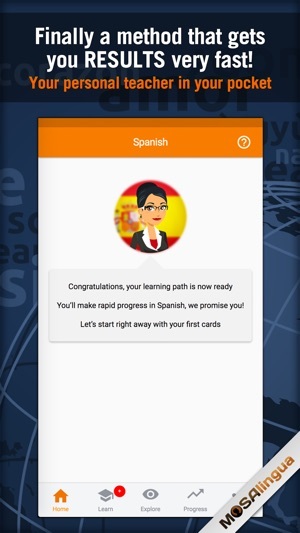 Learning Spanish specifically for the workplace is now possible thanks to a highly effective method designed for people without countless hours to spend learning another language. 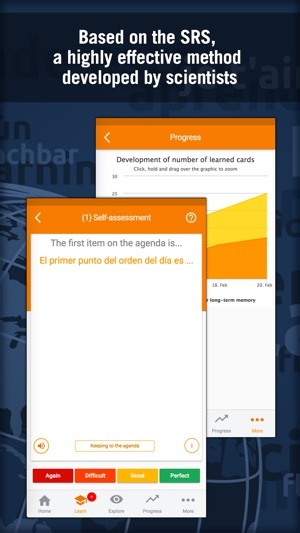 By strategically helping you memorize key phrases, vocabulary and expressions in your speciality, MosaLingua gives you the tools to naturally speak Spanish in a professional context. 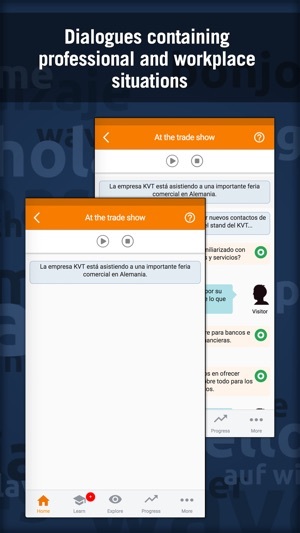 And with its integrated dialogues, the app exposes you to business Spanish, naturally improving your oral comprehension and speaking skills. ► Reviewed by over 6,000 users, with an average score of 4.5/5! ► no need for an Internet connection; it’s all offline! MosaLingua Business Spanish is ideal for those with a basic level of Spanish and/or those who want to target Spanish in a professional context. 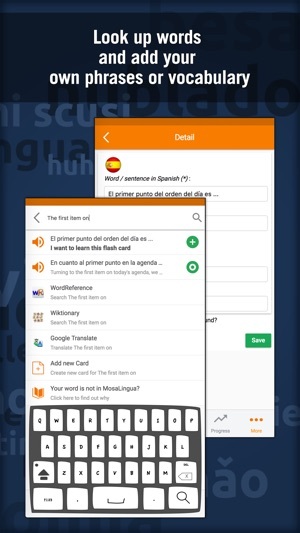 If you are a total beginner, we recommend you our general Spanish app, MosaLingua Spanish. 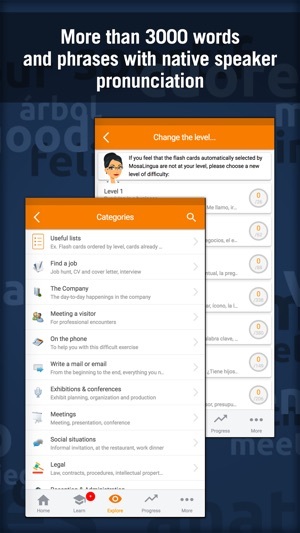 The app constantly evolves: we implement the comments, suggestions and needs of our users and schedule regular updates for free! If you need any help or have a suggestion, please use the support link below – response guaranteed! I am a beginner with MosaLingua, but thus far I am very impressed. The group is really interested in your learning progress, has a great support system, and provides regular helpful resources and nudges to keep you going.